When a person enrolled in Medicaid goes to jail, their benefits under that public health insurance plan are suspended for most services, and many people end up falling through the cracks of the health system upon release. But a state program designed to link inmates to healthcare providers in the community has motivated legislators to seek new exceptions to the rules. In this case, the neighborhood providers are health homes, which are designed to help high-needs Medicaid enrollees access not only primary care and mental health services but also basics like transportation and housing. Health homes receive lists of Medicaid beneficiaries from the state indicating who they're responsible for serving, but tracking them down isn't always easy. Since late 2012, the Brooklyn Health Home and a handful of others across the state have been involved in a pilot project to work with local correctional facilities to identify and connect with members who are incarcerated, so they can begin to coordinate their housing and health services prior to their release, and hopefully prevent them from returning to jail. But the state Health Department didn't release the $5 million that was dedicated to the program in last year's budget due to concerns about violating federal and state Medicaid laws. As a result, most of the health homes have had to stall their participation. In the fiscal 2017 health budget, which was released Wednesday, the money is included along with new language aimed at creating a loophole. However, the funding is still contingent upon federal approval. State health officials are currently discussing the possibility of applying for a waiver from the federal government that would allow Medicaid funding to be used for the program, said Solomon. He added that with the presidential election coming up, there's little time to waste. The state Health Department did not respond to a request for comment on whether it's seeking a waiver. The Brooklyn Health Home has so far been able to advance in the pilot project through grant funding, including an award of $100,000 from the New York Community Trust in September 2014, as well as funds from Maimonides. The health home has been working with the city's Department of Health and Mental Hygiene to find Rikers inmates on its list, most of whom have had Medicaid at one point and will need it reactivated upon release. With lists that include outdated addresses and phone numbers, it is sometimes easier for health homes to find people while they're still in jail. The Brooklyn Health Home has found about 10% of its members through Rikers, Loeffert told the state work group last year. This has not been the first call to allow Medicaid dollars to flow to inmates, and it won't be the last. Since scrutiny of health care at Rikers Island came to the fore, health officials have been discussing ways in which waivers could be used to pay for other services, as well. 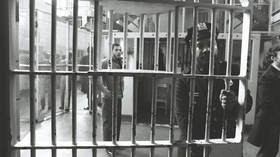 “A key funding opportunity could involve Medicaid waivers to reimburse provision of chronic care inside jails and prisons that was initiated in a community setting,” wrote Homer Venters, chief medical officer and assistant vice president of the Division of Correctional Health Services for New York City Health and Hospitals, in a report published in the latest issue of the American Journal of Public Health. The city's division of Correctional Health Services denied a request to speak to Venters so he could elaborate on the issue. State seeks to bend the rules to allow Medicaid coverage for inmates originally appeared on the website of Crain's New York Business.